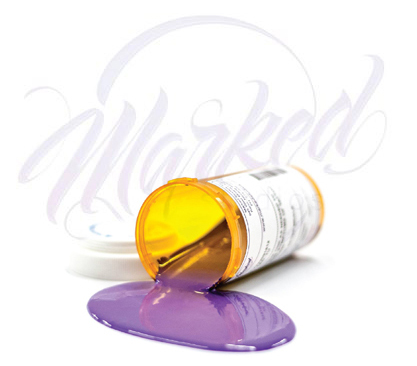 Welcome to Marked Studios in Reno, NV offering an unparalleled tattoo experience. We have designed an innovative and meticulously clean and sterile studio, yet beautifully married to style and comfort, talent and technique. These dangerous combinations will put you exactly where you need to be for your next permanent work of art. We also believe that your tattoo experience is more than just creativity. You are entitled to feel safe, to know that every precaution has been made to insure your safety and your comfort. Best tattoo place eva! The staff are so friendly and comforting:) The atmosphere is amazing and I can't wait to see how my husbands next tattoo of wolverine will turn out! Hey man, I just wanted to reach out and thank you for your hard work yesterday. Your art is amazing and I am really looking forward to continuing the piece. You have put effort into the piece above and beyond and I really appreciate your understanding of the meaning of it and putting that feeling into it. I'm not trying to start a bromance, but I just wanted to let you know that I truly appreciate your dedication to this piece. Please let everyone else at the studio know I appreciated the atmosphere and attention throughout the day, it was a very relaxing and enjoyable experience. Today I went in for my first Tattoo and I am so glad I picked Marked Studios! I work nearby and saw the sign so I checked out the website and Facebook page. I was blown away by the professionalism. I submitted my design online through their website and was contacted the next day to set up a consultation. From first contact to the final tattoo the staff has been incredibly friendly and professional. Something very important to me. As the daughter of a nurse cleanliness has been drilled into me from a young age so Marked studios is perfect! Clean, organized and awesomely decorated! I felt very comfortable with Kenny, my artist. He immediately put me at ease with his laid back demeanor and easy attitude. He explained the basics and what I should expect. A plus for a nervous newbie 😉 I am excited for my design to heal so I can show it off it turned out great! I will be back for sure! Such lively, talented artists who do amazing work. As soon as you walk through the doors, you are welcomed by professionals a with splendid scenery. Patient and experienced artist make your sessions easier and quicker. I would defiantly come again, and would recommend it to others! Go see Parker! I just got a tattoo done today by him, he did an amazing job and was incredibly friendly. He made me feel totally comfortable and really listened to what I wanted so I got exactly what I was looking for. I am 100% happy with my experience at Marked. The place is clean and the staff was very friendly and helpful. It's not an intimidating enviornment like a lot of other tattoo shops. Get your art done here! You won't be disappointed! I've been to many studios before, but Marked has always treated me the best! They truly put their clients first. The staff made me feel very welcome, and took me through step by step on what was going to happen. They used clean equipment and were so encouraging! I would recommend them to anyone. No question the best artists around. If you are looking for someone to complete a piece you can be proud of this is your place. Classy and clean, an amazing experience. Wow! What an amazing shop! From the moment we walked in the door, I knew I was in great hands. Clean, friendly, professional, and true artist's. I am looking forward to finishing my 'vision'! Thank you!! I could not be more pleased! The atmosphere was pleasant, hygienic and very professional. The artists are amazing! I had a basic idea. I received a well composed, well placed, balanced piece. I will proudly wear my art forever! Had my first appt. yesterday w/ Mark on the start of a BIG piece. Not only was I jazzed about it, be HE was excited to do it. Extreme professionalism, clean and mellow environment, comfortable chairs for tattooing and a care package for the care of your new ink!! I'm excited for the outcome of this tattoo because I know its going to be great!! Thanks Mark, Jen and everyone there for a great experience!! I've been to a lot of studios, and none touch Marked. I actually went into Marked while looking for Parker. He has moved studios, and I followed him here. The staff, the setting, and the aesthetics make it the best studio I've ever visited. Thanks for the killer work guys, see you next week. I went to marked on Veterans Day and I just wanna say thank you for the way you've honored the vets also the work I got done was amazing. I really liked everyone there free beer and cookies what's not to enjoy. I'll be coming back real soon thanks again. Also I became best friends with the young lady at the desk in front. She was cool. Just wish I had more body parts I'm willing to ink! My expectations are high, because I am a direct guy and I know what I want. 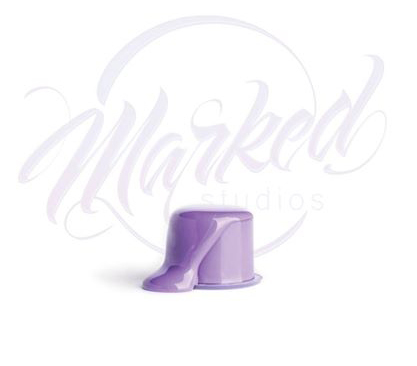 Mark studios blew my mind. All the service and quality work they provide, has humbled myself to respect Mark and his crew. Mark Studios is the best place in town to get the best quality art work for your body. Come by and check them out. They are awesome. Everyone at the Shop is fabulous, and I'm super grateful I found this place. Mark has made the entire experience perfect from day one. I would highly recommend this to anyone looking for quality body art. Love them!!! Check out there page nothing but awesomeness happening there!